ANOTHER AMAZING YEAR ON THE RIVER WITH BLUEGRASS AT ITS BEST! Michael Cleveland has won just about every award there is in Bluegrass Music. From the very first CD, Flame Keeper, which won the International Bluegrass Music Association's Instrumental Album of the Year for 2002, to the string of Fiddle Player of the Year Award that he has won more than 10 times, Michael is renowned for his ability and his style. A graduate of the Kentucky School for the Blind, and playing fiddle since he was four, he has played with all the greats of country and bluegrass like Dale Ann Bradley, Rhonda Vincent and Tom Adams. Michael was nominated for a 2018 GRAMMY for his solo album, Fiddler's Dream. With his award winning band, amazing musicians each and every one of them stars in their own right, 3 Sisters is happy to welcome Michael Cleveland and Flamekeeper, listen to their music HERE. There's power in bluegrass and power in women. When you put five women on stage playing bluegrass, you can't turn away from it it's so good. Since forming in Boston in 2009, Nashville-based string band Della Mae has established a reputation as a charismatic live act comprised of some of the finest players in bluegrass, Americana and beyond. Originating from different musical backgrounds and states across the US and Canada, each member brings distinct elements that make Della Mae such a beloved band. They were IBMA’s Emerging Artists of the Year in 2013, GRAMMY Nominees in 2014 for their debut album on Rounder Records, named among Rolling Stone’s “10 bands to watch for in 2015,” and are headed for another amazing year of recording and touring. 3 Sisters is happy to welcome Della Mae to our stage, listen to their bluegrass HERE. A staunch and unwavering commitment to progression is how an unassuming group of five friends can collectively become a GRAMMY® Award-winning force of nature. That’s exactly how it happened for The Infamous Stringdusters. Within thirteen years since their 2005 formation, the band have consistently forged ahead, relentlessly exploring the musical possibilities of a “bluegrass ensemble” and breaking down boundaries in the process. In a genre known for traditionalism, the ‘Dusters have consistently covered new ground, inspired fans, and redefined what a bluegrass band can be. 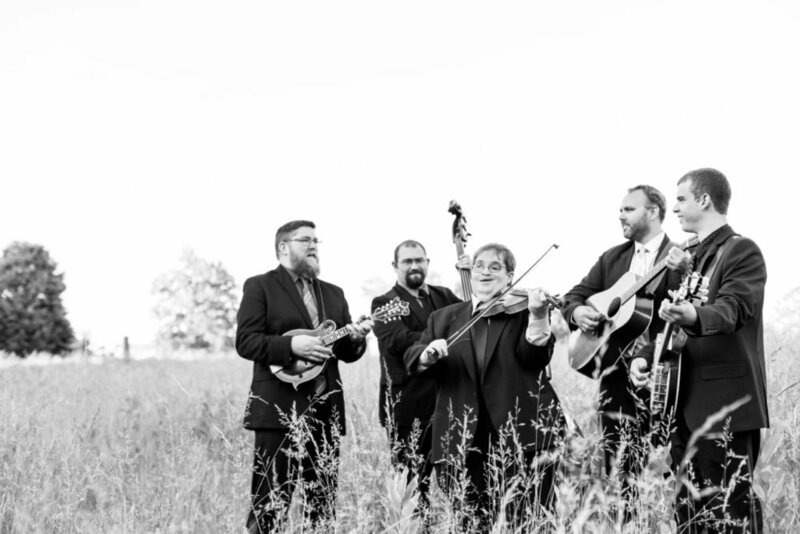 2018 represented a high watermark for the quintet as they took home a GRAMMY® Award in the category of “Best Bluegrass Album” for their 2017 release Laws of Gravity. Even with such milestones, the members feel like they’re only getting started. Welcome to the 3 Sisters stage, The Infamous Stringdusters, listen to their music HERE. All Chattanooga boys, the Mountain Cove Bluegrass Band has been performing since 2008 when they formed the band at their high school. The band plays several genres of music including Bluegrass, Gospel and Americana. The band’s unique sound can be attributed to their uncommon enthusiasm and the addition of a harmonica, not common to most bluegrass bands. Mountain Cove has won the national band competition at the Smithville Fiddler’s Jamboree two years in a row in 2014 abd 2015 and continue to entertain at events like Dollywood and international Coca Cola Meetings. Their music says it all, listen to it HERE. With Josh Crowe on guitar, and Wayne Crowe on bass, the Crowe Brothers’ music career has spanned more than four decades and a dozen recording projects. Growing up in Clayton, Georgia, Josh and Wayne began playing music as boys with their dad, Junior Crowe, and with various local bands playing bluegrass and gospel. They have received recognition from the SPBGMA association (Society for the Preservation of Bluegrass Music of America) with awards for Best Bluegrass Rhythm Guitar and Best Instrumental Band, and were nominated by IBMA for Emerging Artist of the Year. In 2009, their recording of “Cindy Mae” (written by Cody Shuler), went to number one on several bluegrass charts. In 2011, “He Could Pick the Hound” (penned by Steve Watts), also reached the number one slot. Joined for 3 Sisters by local favorite picker Brian Blalock, we are happy to have the Crowe Brothers join us. To hear them click HERE. Circus No. 9 is East Tennessee’s own Progressive Bluegrass outfit, blurring the lines between Bluegrass, Jazz, Jambands and more. Described as “John Hartford meets John Coltrane,” the group has appeared alongside artists including David Grisman, Bryan Sutton, Larry Keel and more. Comprised of musicians Matthew Davis, Thomas Cassell and Vince Ilagan, Circus No. 9 is one of the most exciting new bands on the acoustic music scene today. With awarded musicians Matthew Davis (2016 National Banjo Champion, 2017 Rockygrass Banjo Champion), Thomas Cassell (2016 Rockygrass Mandolin Champion), bassist Vince Ilagan and guitarist Jed Clark, Circus No.9 is taking the new acoustic scene by force. We are happy to welcome them to Chattanooga and 3 Sisters, listen to them HERE. Bill Evans is an internationally recognized five-string banjo playing life force. As a performer, teacher, writer and composer, he brings a deep knowledge, intense virtuosity and contagious passion to all things banjo, with thousands of music fans and banjo students from all over the world in a music career that now spans over thirty-five years. Bill is also an expert player of mid-19th century minstrel banjo and late 19th and early 20th century classic banjo styles, authentically performing these styles on historical instruments. He brings all of these diverse musical performing interests together in his solo concert The Banjo in America. Evans is the author of Banjo For Dummies, the most popular banjo book in the world. Banjo For Dummies is now in its second edition and has been translated into French and Portuguese. Performing, teaching, writing, Bill successfully bridges traditional and contemporary sounds and playing techniques, creating a new music that is firmly within the bluegrass tradition but draws upon a broad knowledge of classical, jazz and world music, drawing upon his experiences as a graduate student in Music at the University of California, Berkeley and as the associate director of the International Bluegrass Music Museum. 3 Sisters is happy to welcome Bill and Dan to the stage for the first time, to hear his music, click HERE. Berklee College of Music, located in Boston, Massachusetts, United States, is the largest independent college of contemporary music in the world. Known for the study of jazz and modern American music, it also offers college-level courses in a wide range of contemporary and historic styles, including rock, flamenco, hip hop, reggae, salsa, heavy metal and bluegrass. Since 2012, Berklee College of Music has also operated a campus in Valencia, Spain. John Mayer, Charlie Puth and Quincy Jones are all notable graduates of the Berklee program. In December 2015, Berklee College of Music and the Boston Conservatory agreed to a merger. The combined institution is known as Berklee, with the conservatory becoming The Boston Conservatory at Berklee. Annual favorites at 3 Sisters, especially with their connection to Fletcher Bright whose scholarship is cherished by each recipient, the Berklee College of Music Fiddlers bring great music to the stage each year, listen to them HERE. Chapel Hill’s indie Americana quartet Mipso – Jacob Sharp (mandolin, vocals), Wood Robinson (bass, vocals), Joseph Terrell (guitar, vocals) and Libby Rodenbough (fiddle, vocals) – release their fifth album, Edges Run, on April 6th, 2018 via a newly inked record deal with AntiFragile Music. Influenced by the contradiction of its progressive home and the surrounding rural southern landscapes, Mipso has been hailed as “hewing surprisingly close to gospel and folk while still sounding modern and secular” (Acoustic Guitar) and was recently recognized by Rolling Stone as an “ Artist You Need to Know.” The band brings a distinctly unique sound – full of wistful beauty, hopeful undercurrents and panoramic soundscapes. Venturing ever-further from its string-band pedigree to discover a broader Americana where classic folk-rock and modern alt-country sounds mingle easily with Appalachian tradition, Mipso’s music is lush and forward moving, with lyrics that sear and salve in turn. They are welcomed to the 3 Sisters' stage, to hear their blend of bluegrass check HERE. Where could you hear these entertainers together? Anywhere but 3 Sisters? I don't think so and if you did, it wouldn't be for FREE. We are thrilled to have this group come play for us this year. The Gibson Brothers are brothers, some from a different mother, but brothers in the bluegrass they love to perform. Eric and Leigh Gibson form the nucleus of the band with Mike Barber, Clayton Campbell and Jesse Brock rounding out the family. They have won every award there is to win and we are thrilled to have them on the stage at 3 Sisters as part of this Picking Party. Listen to them HERE. Sierra Hull grew up in bluegrass. “She plays the mandolin with a degree of refined elegance and freedom that few have achieved,” says Bela Fleck, the genre-leaping banjo master who produced Sierra's Weighted Mind. “And now her vocals and songwriting have matured to the level of her virtuosity.” Alison Krauss, who has won more Grammy awards than any female artist in history, says of Hull, “I think she’s endless. I don’t see any boundaries. Talent like hers is so rare, and I don’t think it stops. It’s round.” Hull came to us as a bluegrass thrush, a teen prodigy. Krauss called her to the Grand Ole Opry stage when Hull was 11-years-old. She's come a long way from there and her life and music have changed to who and what she is today. Listen to today's Sierra HERE. Rob Ickes & Trey Hensley have combined their talents into a powerhouse of bluegrass. This amazing collaborative effort between two uniquely gifted musicians is bound to be a revelation to traditional music fans on several counts. Rob Ickes is a longtime, well-established instrumental giant, and Trey Hensley is newly arrived in Music City, bursting with talent both as a vocalist and guitarist. Both explode on the 3 Sisters' stage, listen to them HERE. Ask any musicologist about the origins of old time and bluegrass music, and a disquisition on banjo and fiddle music won’t be far behind. Particularly in the Appalachian regions where self-sufficient immigrants from the British isles and their descendants tended to aggregate – and where scarcity and frugality were the norm – a neighbor with a fiddle was sufficient for a dance, and a fiddle and a banjo was a band in the days before radio brought musical entertainment into the home. As the American folk string tradition developed in the 20th century, both bluegrass and old time musicians held on to the power and majesty of just a banjo and a fiddle. Whether played in the clawhammer or three finger style, the banjo provides a perfect complement to the fiddle, and the sound of the two together is irresistible. Now, in a modern society where technology can deliver a vast library of recorded music to the pocket of nearly every living person, the charm of the banjo/fiddle duet still holds sway. Especially when practiced by such masters of their instruments like Pikelny and Duncan. We are pleased to offer their unique sound to you at 3 Sisters. Listen to them HERE.